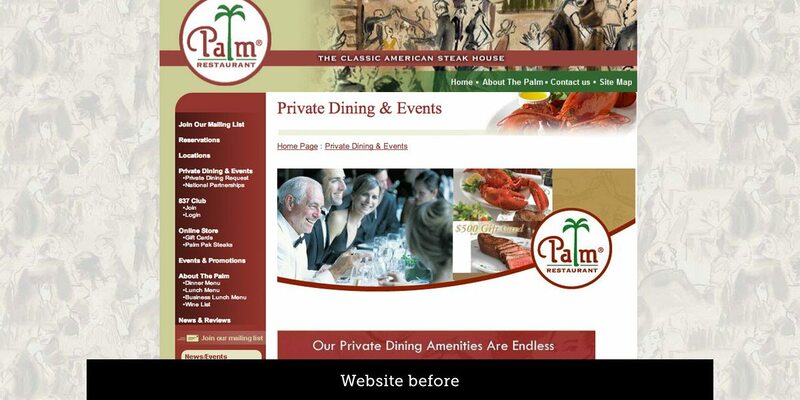 As The Palm, with 30 locations across the US and abroad, prepared to commemorate its 85th anniversary, it looked to revitalize its position as the classic American steakhouse- to celebrate its story and to accurately reflect its authentic and high-quality dining experience to a new generation of Palm customers. Korn Design’s work included visual identity, lifestyle and food photography, menu program design, website, printed collateral, marketing, press materials, and a collaboration with the Operations Team on tabletop and uniforms. The Palm has emerged from the financial challenges of 2008 with a solid footing. 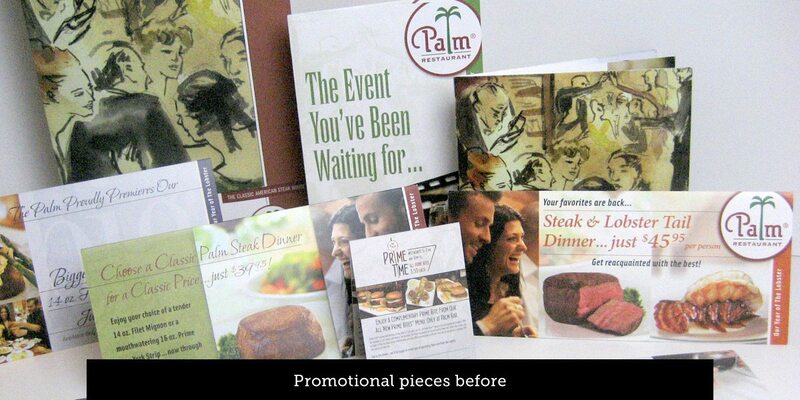 Customer satisfaction surveys were conducted pre and post brand refresh. The results were very encouraging: post-refresh scores climbed in the one-month immediately following the refresh. Not only did scores improve compared to pre-rollout scores, they also significantly outperformed the non-refreshed company averages, confirming the brand impact even in challenging economic times.